2007 Building Expansion Project - Chabad Lubavitch Center - Texas Regional Hdqrtrs. Check back often for pictures, annoucements, etc! 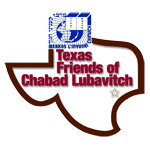 Chabad Lubavitch of Texas will honor Dr. David & Bayla Cotlar and Dr. Irving & Miram Fishman with the Chabad Lubavitch of Texas Founders' Award at the Chabad Lubavitch Center Dedication Dinner on Sunday, Yud-Tes Kislev, Dec. 6, 2009. The Womens Mikvah Pool has been built in its place. Quite a job!! Hundreds of Houstonians from across the Jewish community turned out for the Chabad Center’s west wing dedication. The ceremony included a Chinese auction, cocktail reception and concert with Benny Friedman and Chony Milecki. A great time was had by all with great prizes, food and fun! Benny Firedman was a big hit! For the past two weeks, a demoli­tion crew has been working to tear down an empty apartment block that had sat adjacent to the Chabad Lubavitch Center-Texas Regional Headquarters in urban southwest Houston. The Chabad Lubavitch Center at 10900 Fondren was landlocked in a one-acre campus and gasping for extra space. The Fondren Court apartment complex next door had a density problem. Renovation is under way at the Fondren Court apartments, which will be renamed The Reserve at Bankside. The improved units will have new cabinets, floors, fixtures, doors, windows, appliances, air conditioning and heating, washer and dryer connections. When it's complete there will be 348 units. Judwin sold 72 units to the Chabad synagogue at 11000 Fondren, which plans to use the land for parking and a playground. Demolition of the acquired acres has begun!! Chabad Lubavitch Center, the Texas Regional Headquarters under the directorship of Rabbi Shimon Lazaroff, has recently announced the acquisition of approximately two acres of land adjacent to the current one acre facility. Overview - Where Judaism comes alive for everyone! This is your place – for family and community, for celebration and discovery, for spiritual renewal and for reaching out to help others. This is a place you can truly call home. A time lapse photography of the building raising! We are very excited about the contruction that has finally begun. Check by often for progress updates! Be sure to watch the videos too! Mendy Donin, 9, and Nicole Harari, 6½, were among the cast of several hundred at the Feb. 4 groundbreaking for the Chabad Lubavitch Center’s expansive building renovation project. Master of ceremonies Stuart Nelkin, president of Chabad Lubavitch Center, provided the diverse audience with the history of Chabad’s 30-year presence in Houston. This largest set of shots was taken by Dr. David Cotlar. If you would like to order prints of any of the pictures shown here visit the Ritz-Wolf Camera website by clicking here. This set of shots is hosted offsite and was taken by our good friend Shimon. Be sure to check back for more sets as they become available to us by the photographers! Rabbi Chaim's camera was passed around for vaious photos appearing here.